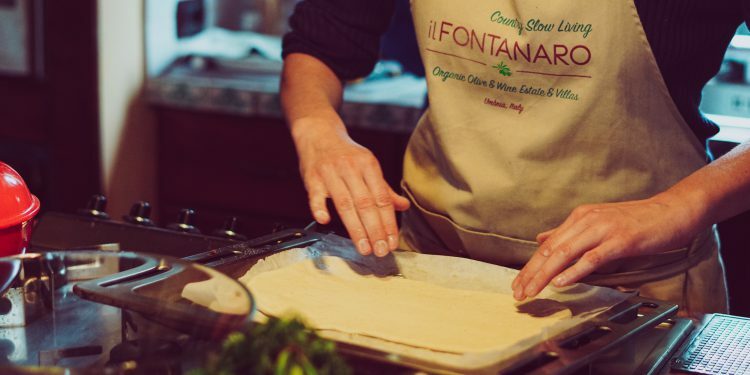 For an unforgettable travel experience, in one of the most beautiful village of Italy, enjoy a cooking vacation at il Fontanaro organic farm house. Learn to cook like an Italian mamma! We will use only local and organic products, most of them, in season coming from our kitchen garden. This cooking vacation is a vacation based on the idea that the local food is the most important parts of a trip, and that encountering a destination through its cuisine gives an authentic and unique experience. Spend seven nights at the Country slow Living villas and experience the real Italian Dolce Vita. 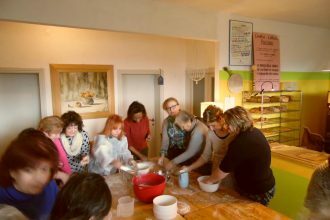 Discover one of the best cooking classes in Italy. Saturday: arrival and time to relax at the pool. Explore the village of Paciano, a Medieval village with bars, restaurants and a Museum to visit. Sunday: visit of Cortona and/or Siena. Visit the Under the Tuscan sun city of Cortona, lunch at one of the best restaurant named La Bucaccia or Osteria del Teatro. Or visit the Duomo of Siena, lunch at the memorable Osteria le Loggie! Monday: Visit the fresh market of Chiusi Chianciano, only 12 km away and taste local cheese from Pienza, organic veggies, the traditional roast pork. Than when we return we will start the first Cooking class. You will make Tagliatelle, Ravioli pasta and Tuscan Gnudi plus the Tiramisu. Thuesday: Second Cooking class. You will make potatoes dumplings (gnocchi) simple and filled with Tuscan cheese. Also we will make the Crema della nonna with local organic fruits. You will have the evening free to visit a cheese factory or others. Wednesday: Third cooking class. We will make lasagna, spaghetti alla chitarra, orecchiette and parmigiana di melanzane (eggplants). Thursday: Visit Perugia and Assisi. Ask us for more ideas, the city guide and our local tips. Or visit Deruta, the ceramic village and Spello, the olive oil city. Combine the day tour with the visit of Olive Museum and Wine Museum in Torgiano. Friday: Visit Sarteano for its huge fresh market, and Medieval centre, than Montepulciano and Montalcino, the wines cities, or ask us for a private wine tour. or +39 3387338869, also available on Whats Ap!